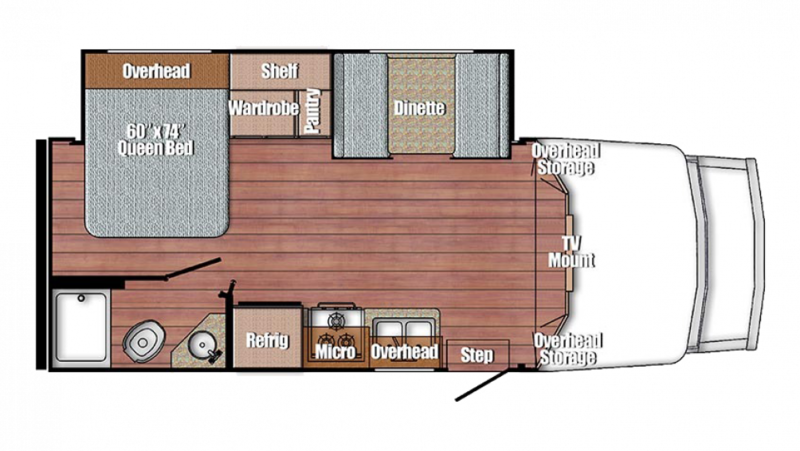 Take the trip of a lifetime with the 2020 Gulf Stream BT Cruiser 5245 Gas Class C Motorhome! After more than four decades of being one of the top RV dealers in Michigan, Gillettes Interstate RV knows how to provide top-notch sales and service to our customers! We have a huge inventory and our wholesale prices are some of the best in the nation! We're conveniently located at 7210 E Saginaw St East Lansing Michigan 48823 and you can tour our entire inventory! Don't live in East Lansing? No problem! Visit us online and give us a call at 517-339-8271! With our 24/7, door-to-door delivery service anywhere in North America, you can have the RV of your dreams in no time! Opt for healthier dinners and cook up fresh meals in the kitchen! There is a 3 burner range cooktop, a 6.00 cu. ft. refrigerator, and more! With the 37 gallon fresh water tank, you'll never run out of water to clean, drink, and cook with!